Regardless of a toddler’s gender, race or culture, it has been my observation that most children love music. There’s something about the rhythm that makes them want to move, jump, spin, giggle: you name it! Since my little girl already loves dancing and music, we have purposely selected some musical toys to encourage her interest. When Quinn was just a year old, we got her the Leap Frog Learn & Groove Counting Maracas, and they are one of her favorite go-to toys. 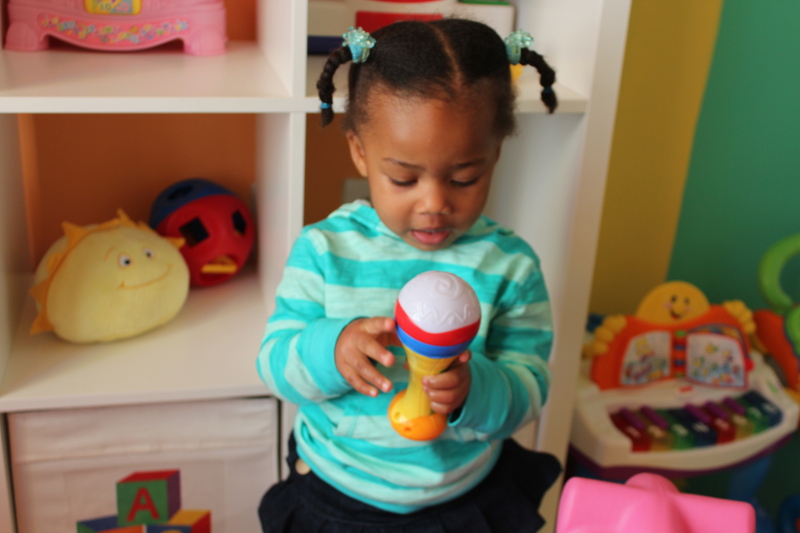 What I love about these maracas is that she is able to practice her counting and colors in both English and Spanish. Though she is only 18 months, she is already saying many of the numbers in order. “Uno, dos, tres…” comes out “oh no, dotes, twes,” but it is too cute to watch her say them. Of course, when I attempt to record her, she will not say her numbers or colors in either language, but I am looking forward to the days when she is eager to share what she knows. If you are looking for a fun musical toy for your toddler that teaches as well, this may be the one for you. When I was younger, I loved jumping in the leaves, taking in the beautiful reds, yellows and oranges, listening to the loud crunches as I stumped my feet. Though my fun has now shifted to work as I rake up piles of leaves that surround my home, I have managed to fall in love with autumn all over again through my little girl. Initially, she was seated in her trike, but overtime, she made it very clear that she wanted to get out and enjoy nature. As soon I got her out of her trike, she headed for the leaves and could not resist jumping in them and throwing the leaves everywhere. 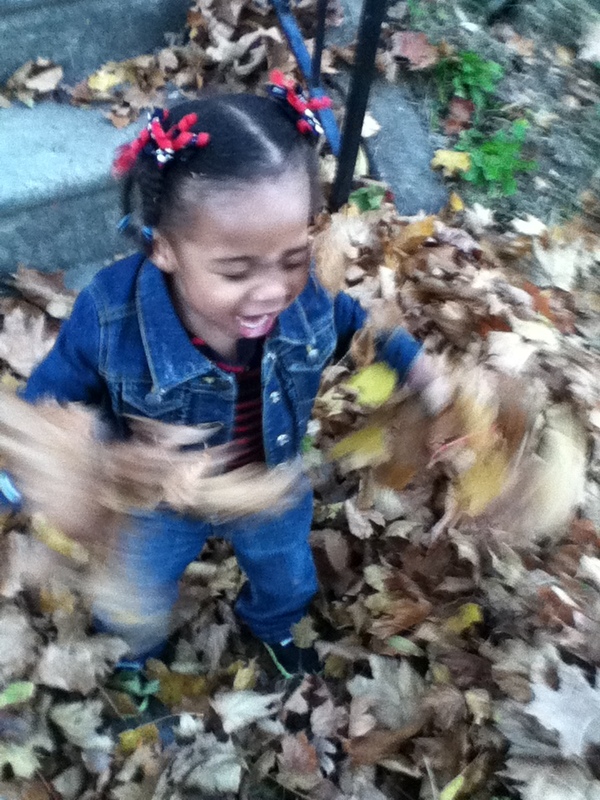 She was absolutely tickled as she tossed the leaves all around her, as was I. In that moment, I was not thinking about how she was slowing down my progress with getting all of the leaves to their designated area for the leaf collection or the dirt and other germs that might have been in those leaves. I just smiled and thought about how carefree she is and how grateful I am to have her in my life. Quinn continues to leave me in awe, and I am looking forward to more simple yet memorable moments in the near future. Here’s a brief video below that really captures the fun Quinn was having. If only we all could have this much fun playing in the leaves.